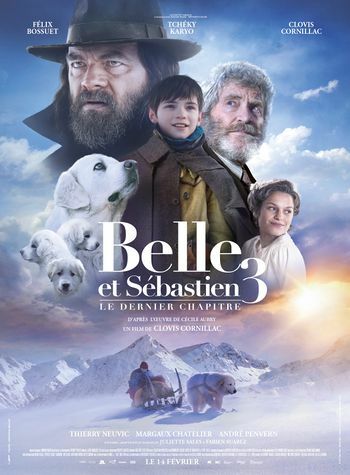 Belle et Sébastien 3 : le dernier chapitre movie poster. Reg. N431HM a 1943 Douglas C-47A-45DL c/n 9995 serial 42-24133. Modified to DC-3C-S1C3G once peace is back, wearing numerous registration : NC65266 and N6K and N88Y (later N88YA), G-BMCR (August 1985), HB-ISC (until 2011). Despite in the colors of Swissair, her operator is Verein DC-3 (based in Swiss). Same aircraft in other movies at IMPDb: Frequently Seen Aircraft (Civil Fixed-Wing). With Swiss based Beechcraft 18S registered N223CM in the background. This page was last modified on 30 December 2018, at 11:27.